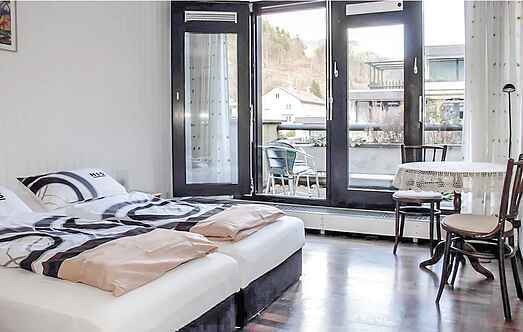 Choose from a selection of 7 holiday rentals in Hornberg. Use the search form to the left to filter the results and pick your choice of self catering accommodation in Hornberg. We have a good selection of holiday apartments in Hornberg perfect for family, single, romantic and group holidays. You may prefer to take a look at our listed holiday villas in Hornberg or holiday apartments in Hornberg. Find your holiday homes by a specific type using the property type drop down in the filter. Filter the holiday homes in Hornberg by a specific area using the area list above. Enjoy peaceful holidays and pure relaxation in a magnificent hiking area surrounded by beautiful nature at 750m above sea level, away from noise and traffic. This apartment is located in the Black Forest, in the village of Hornberg and is surrounded by beautiful mountains and lot of greenery and a waterfall. This spacious apartment is located in the Black Forest, on the outskirts of the village Hornberg, where it welcomes you on the ground floor of a detached end house.